Family vacations are the stuff of lifelong memories. 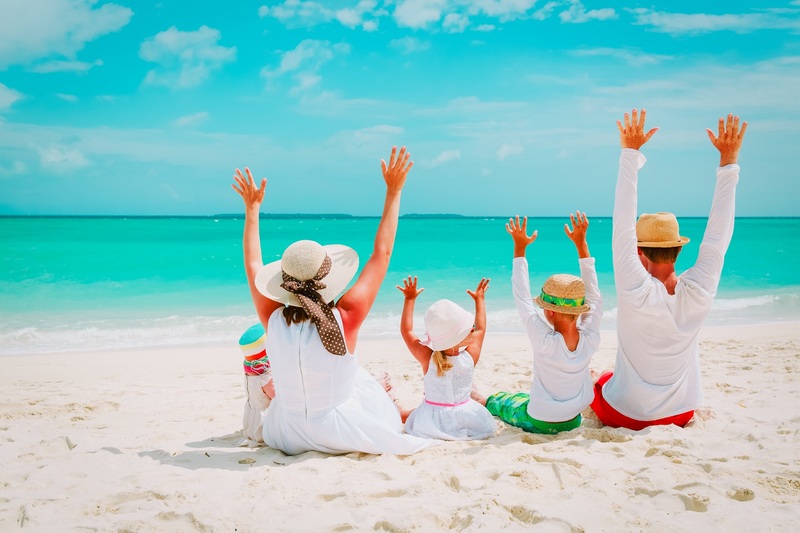 If you are planning a family vacation, and are like most people, you likely are looking for ways you can trim the costs associated with your vacation. There are nine tips you need to bear in mind when it comes to saving money on your family vacation. When it comes to airline points credit cards, get one for each parent. In this way, you can both be accumulating travel miles as you go about day to day living. You will also want to connect with a hotel awards program. For example, if you, your spouse, or both of you travel for work, you can accumulate hotel points fairly quickly that you can take advantage of when you take a family vacation. Time and again, a traveling family spends what ends up amounting to a considerable amount of money on snacks. Of course, there is absolutely nothing wrong with enjoying snacks while traveling. With that said, you don’t need to make purchases of snacks when on a family vacation. Rather, you can save money by packing at least some snacks in advance of your travels. In addition to saving money by packing snacks, you can also make sure that the snacks you enjoy when traveling are healthier. When considering healthy eats, also remember bottled water and other healthy beverages. A good deal of money can be lost spending money on hotel vending machines when it comes to beverages. Purchasing some souvenirs while on a family vacation is a perfect way to memorialize a trip. However, you don’t need to take a haphazard approach to buy souvenirs. Before taking off on a family vacation, establish a specific budget for souvenirs. Depending on the ages of your children, you can involve them in the budget setting process. When the family understands spending parameters when it comes to souvenirs, money is saved. In addition, disputes are eliminated when it comes to purchasing souvenirs. Set parameters make it clear what can and cannot be purchased. We’ve already discussed how airfare costs can be reduced on a family vacation. You can also reduce other transportation costs as well. A prime way you can reduce a family vacation budget is limiting the use of a rental car. Indeed, perhaps you can avoid a rental car altogether. If you do need a rental car, shop around and find the best deal. In addition, make arrangements to pick up and return a rental car at the same location. This keeps rental costs lower than is the case when you pick up at one location and return somewhere else. A simple way you can save a decent amount of money on a family vacation is to stay in a hotel that serves breakfast. Some hotels and motels serve quite nice continental breakfast spreads. Not only do you save money, but you can get your day off to a fast and easy start. Before you embark on a family vacation, identify free events and activities. You are highly likely to find events and activities that you and your family will enjoy. Free things while traveling can end up saving a significant amount of money on your family vacation. Many restaurants offer reduced priced or discounted meals in the late afternoon. Take advantage of these dining opportunities whenever you can while on your family vacation. Whenever possible, select a hotel that offers free WiFi. The reality is that charges for WiFi at some hotels, and motels, can add up quickly. A final way you can cut costs on a family vacation is to select a nearby destination. Select a destination that is in driving range for your family vacation. Odds are fairly strong that there are places well within driving distance at which you can have an amazing family vacation.